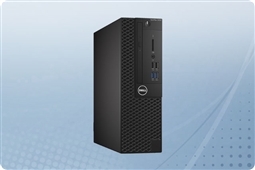 Dell Optiplex 3050 Desktop Series is a versatile, space efficient, and affordable answer to business computing perfect for Small to Medium Size Businesses (SMBs)! Made to reduce cable clutter and save space, Dell Optiplex 3050 desktops come with custom designed cable covers perfect for creating a more efficient and visually pleasing work environment. In addition, Optiplex 3050 desktops are customizable with tons of versatility in configurations. Choose your base Intel Core processor and customize your DDR4 memory, hard drive capacity, and software to have the perfect plug in play custom Dell desktop solution! 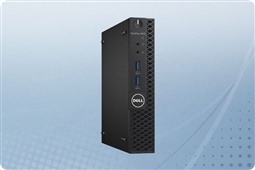 Plus with the best in Dell management and security features such as Dell Command Suite and TPM you can trust that your Dell Optiplex 3050 desktop updated easily and your end user data is protected. Aventis Systems offers all of our Dell Optiplex 3050 Desktops with a 1 Year standard Essentials Warranty. Additional upgrades to Express NBD parts replacement, Secure Drive (for hard drive retention during service), and Extended 2 Year term warranties are available as well for more support. 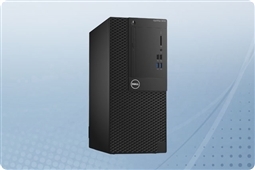 So check out our models below and customize your affordable Dell Optiplex 3050 small form factor, tower, or micro desktop today!